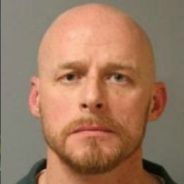 Saratoga County District Attorney Karen A. Heggen announced today that William Hoffay (DOB: 10-1-74), 1703 SR 43, Averill Park, NY, was sentenced for his conviction of three counts of Burglary in the Third Degree, in violation of NYS Penal Law Section 140.20, class “D” felonies. Saratoga County Court Judge James A. Murphy, III sentenced Hoffay to the maximum permissible sentence of 3.5 to 7 years with regard to each conviction, to be served consecutively, for a total of 10.5 to 21 years in state prison. DA Heggen praised the collaborative work of a number of Saratoga County law enforcement agencies who worked together to solve these burglaries, “this case is a great example of law enforcement sharing information and working together to solve crimes. The Saratoga County Sheriff’s Office, the New York State Police and the Saratoga Springs Police Department all assisted in this investigation, resulting in each agency charging the defendant with separate and distinct burglaries within the county”. The case was handled by Assistant District Attorney Charles O. Bucca, who negotiated the significant sentences imposed by Judge Murphy.